The Nottinghamshire branch of the British Red Cross has received a much-needed boost to its local 4×4 appeal following a £461 donation from the Long Eaton Round Table. 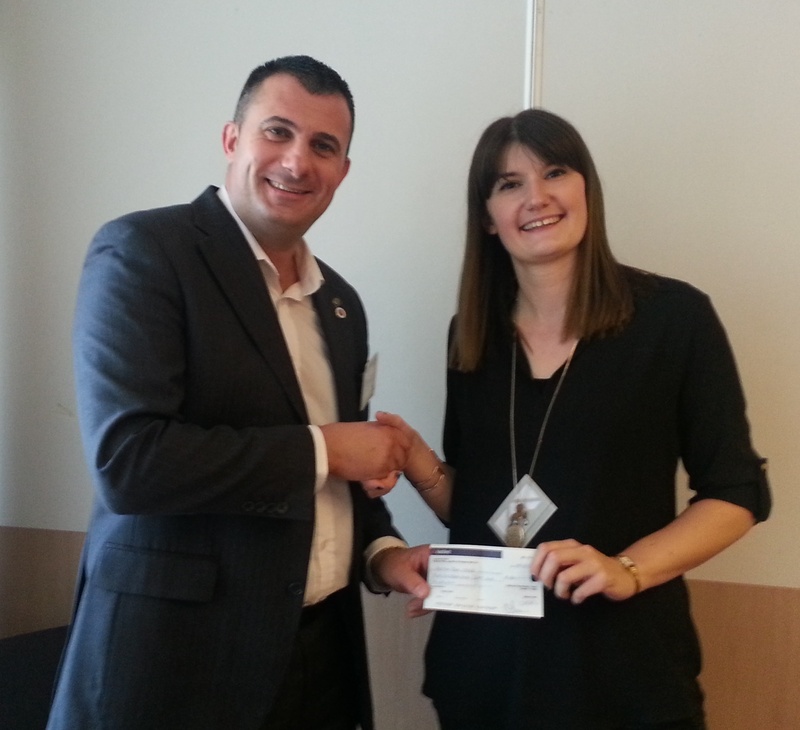 A cheque was presented to local Red Cross fundraiser Alex Gadsby at the BNI Parkside meeting on Friday 10 October, taking the appeal a step closer to its £26,000 target. Thanks to the generous support of community groups, businesses, and individuals across Nottinghamshire, the Red Cross has raised over £17,000 for its Nottinghamshire 4×4 appeal – leaving £9,000 still to raise to reach the cost of a new vehicle – £26,000. Red Cross 4x4s are a lifesaving asset to local communities. A Red Cross 4×4 helps trained Red Cross volunteers reach casualties at large-scale events, and enables Red Cross staff to continue helping vulnerable people readjust to life at home after a hospital stay in all weather conditions. In Nottinghamshire, the current fleet of 4x4s also helps district and palliative nurses reach patients cut off by severe weather in the north of the county. After 22 years of heavy use, the charity urgently needs to replace the oldest of its fleet in order to support vulnerable people in county this winter and beyond. Alex Gadsby, fundraiser for the British Red Cross in Derbyshire said: ‘We are hugely grateful to Long Eaton Round Table for their generous support of our urgent local appeal.